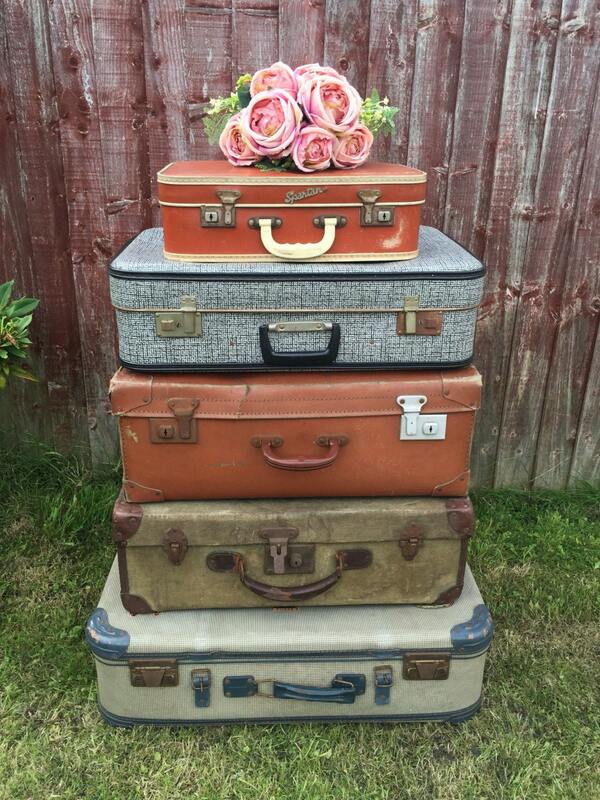 Old suitcases make lovely decorations for vintage or shabby chic themed weddings! They are great props for theatre productions, photographic backdrops and make lovely interior decorating accents. 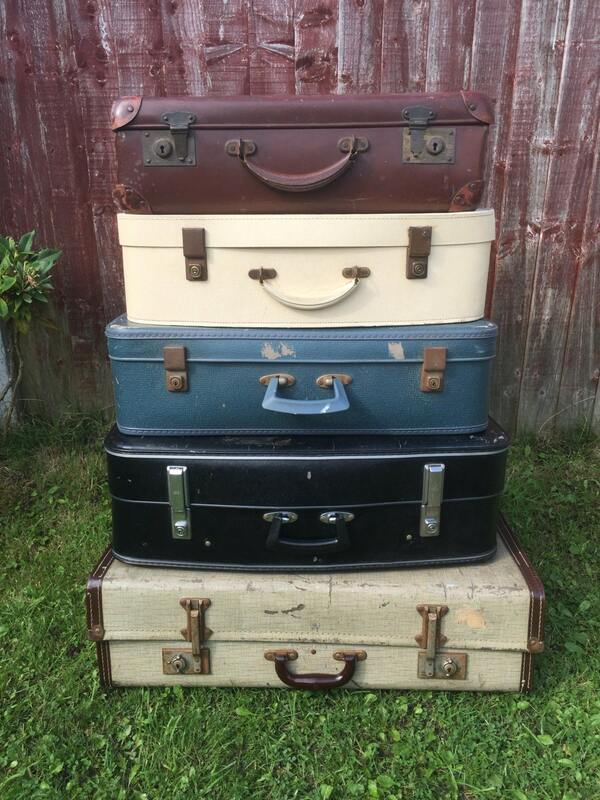 + This listing is for a selection of either 3, 4, 5, or 6 vintage suitcases in a variety of colours and fibreboard finishes. It depends what I can find at the time so no two stacks are the same. 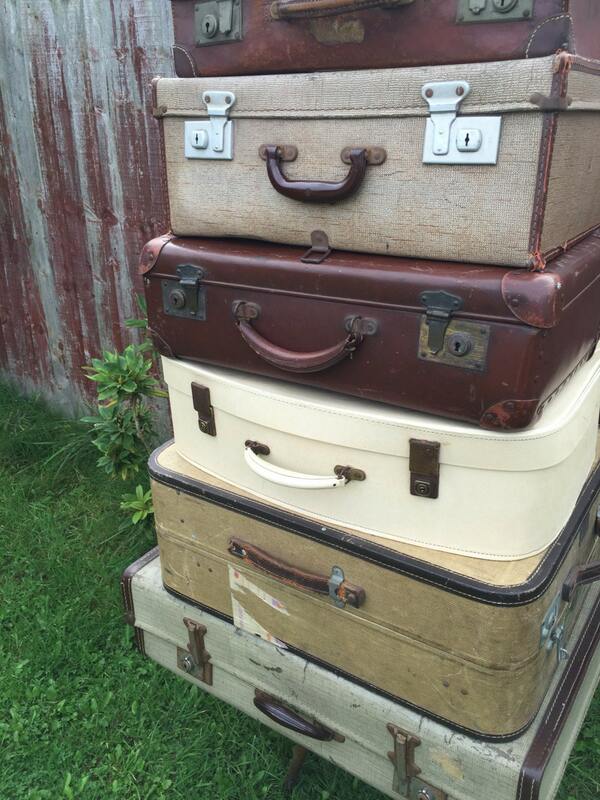 Please note these are my shabby-vintage cases. They may have rips, clasps may not close, handles may be missing and they are not suitable for storage clothing. On order I will custom put together vintage cases to with a nice blend of colours from CREAM, BROWN. NAVY. BLUES, BLACKS AND GREYS, that will stack nicely as an arrangement. If you would like specific colours please convo me for a custom order. + Cases in the images are all SOLD. 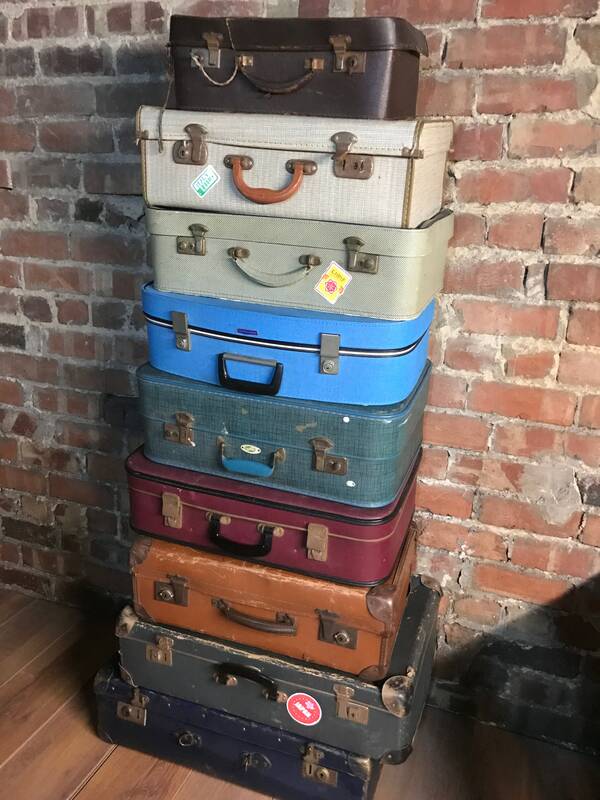 ***** DUE TO MUCH LOVE ON ETSY MY SUITCASE STACKS MAY 2-3 WEEKS TO SOURCE ***** If you need a rush order please message me to confirm. Please see link below for single cases already listed and in stock. All vintage cases are cleaned externally and wiped over internally and are in a good general condition for their age, they are however vintage and as such show signs of ageing with wear and tear, which adds to their beauty as individual items. Prices indicated for international shipping are an approximation. Please leave your mobile / cell number in the note to seller for the courier. Please contact me prior to contact with your country so I can quote accurately for shipping as I may have to send you an update link for additional shipping. All images and listing copy is the property of Anthi Leoni™ and copying is prohibited and will be reported to Etsy.